Quite possibly one of my favourite foods because of the distinctive, nutty flavour it gives to dishes and smoothies (yum!) is coconut. It seems to be en vogue these days as consumers are realizing the benefits of this wonderful superfood and food companies are meeting the demand to provide it in various forms. We have the whole food coconut; but now we’ve been introduced to coconut flour, coconut sugar, coconut milk, coconut yogurt. You name it, the food companies have created it. And that may be not such a great thing. But that’s another post for another day. What I really want to discuss is the application of coconut – and more specifically the oil – to hair care. Coconut has been used for thousands of years by people native to the tropical areas coconut is found. So it’s nothing new. It’s just new to the North American culture. And “newly” discovered by many naturals, even though our parents and grandparents were using it on our hair for years. So what is the REAL deal with this unique oil? Why is it such an important ingredient to use in hair care? It all has to do with its fatty acid composition. All fats and oils are composed of molecules called fatty acids. There are two methods of classifying fatty acids. The first is based on saturation which many of you have probably heard of. You have saturated fats, monounsaturated fats, and polyunsaturated fats. Another system of classification is based on molecular size or length of the carbon chain within each fatty acid. Fatty acids consist of long chains of carbon atoms with hydrogen atoms attached. In this system you have short-chain fatty acids (SCFA), medium-chain fatty acids (MCFA), and long-chain fatty acids (LCFA). Coconut oil is composed predominately of medium-chain fatty acids (MCFA), also known as medium-chain triglycerides (MCT). It has a low molecular weight and straight chained structure. This means that it can penetrate INTO the hair shaft. The main fatty acid in coconut oil is lauric acid. In fact it’s about 44-52% lauric acid. What’s so special about this fatty acid? It has an affinity for hair proteins. This means that lauric acid LOVES, LOVES, LOVES hair protein. It has a low molecular weight and straight chained structure. This means that it can penetrate INTO the hair shaft. The cuticle of the hair shaft is the outer protective covering. It consists of flat overlapping cells or scales. It is the hair structure that allows substances like water and oils, into and out of the hair. It also protects the delicate proteins which is great. However the cuticle can become damaged. And it textured and curly hair, this damage occurs at less force compared to Caucasian and Asian hair textures. Cuticle damage is evidence by broken scale edges several cm away from the scalp caused by weathering, mechanical damage, combing, brushing and shampooing. The longer the hair is, the older it is and the more cuticle damage it has sustained. This is one of the reasons the ends of your hair often feels dry, brittle and hard compared to the middle sections or those sections closer to your scalp. The cuticle is especially susceptible to damage from combing the hair when it’s wet. If you have long natural hair then good for you! We’re talking 25 cm or longer. It took a lot of work, care and likely some protective styling to get you there. However you may want to keep in mind that the structural integrity of your hair may be impaired because of chipping away of the cuticle. This leads to split ends and fractures and can limit the length you can actually retain, how shiny it is and how smooth it looks. Before discussing what may be the most important step in your hair care regimen, I want to touch on an important practice that could make a huge difference in how your hair looks and feels after it’s washed and conditioned. Coconut oil has been known to lead to healthy looking long hair and it likely prevents damage to the cuticle when combing and brushing or using any procedure that involves abrasion. The lubricating effect of the oil on the hair fiber reduces friction which in turn will reduce damage from any abrasion. Okay so what else? Any oil can do that right? Yes and no. 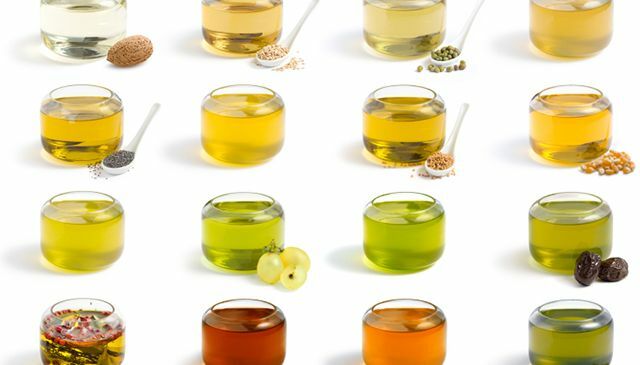 all oils are not created equally and each oil has its own unique ability to penetrate into the hair shaft. Or not. And those oils that do penetrate will actually increase the softness and manageability and hydration of the hair. Those oils that can’t penetrate won’t. So let’s discuss – in some detail – the effect coconut oil has on hair damage and in order to understand this you’ll need to know a little bit about the cuticle. The cuticle is the outer part of the hair shaft. It is a hard shingle-like layer of overlapping cells, some five to twelve deep. It is formed from dead cells which form scales that gives the hair shaft strength and do the best job of providing protection for it. The hair cuticle is the first line of defense against all forms of damage; it acts as a protective barrier for the softer inner structure. The cuticle is responsible for much of the mechanical strength of the hair fiber. A healthy cuticle is more than just a protective layer. The cuticle controls the water content of the hair fiber; it allows water into and out of the hair. A-Layer — This layer is comprised of proteins very high (35%) in cystine, which enables the layer to be highly crosslinked. This layer gives toughness to the hair and also provides physical protection from heat and other factors that can damage the hair. Exocuticle — This layer has approximately 15% cystine, so it is less strong and tough than the A-Layer, but provides similar protection. This layer is cross-linked as well. Let’s go back to the exocuticle for a moment. Because of this cross-linking this area of the cuticle is brittle and doesn’t swell. The endocuticle and the cell membrane complex have less cross-linking. As a result they swell a lot which increases the tendency for the surface cuticle cells to curve upwards and break when combed. Cuticle chipping from friction due to combing or friction between hair strands is a major factor in hair damage. The proteins that make up the cuticle cells are lost during combing the hair wet. Keep in mind that the protein loss that occurs is mainly from the cuticle and not really from the precious inner parts of the hair. However with the understanding that the cuticle’s role is critical in maintaining the hair’s healthy appearance and the integrity of the hair structure, the loss of it can be bad. Really bad. Here is where the use of coconut oil gets really interesting. If you’ve read my articles or have heard me present you know I’m all about the “why”. Even if you’re not interested in “why” I am because then I can more accurately assess the issues that may be going on with my clients’ hair make intelligent recommendations based on this assessment. We want to prevent or reduce the chipping away of the cuticle right? We’ve established that in naturally curly hair – especially afro-textured hair – less force is needed for the cuticle to be damaged compared with other hair textures. You know that damage to the cuticle can lead to split ends, breakage and damage because the integrity of the hair fiber is compromised. So what needs to be part of a healthy natural hair regimen is to maintain the cuticle structure as much as possible. This is where coconut oil rises the the occasion and outperforms other oils. Coconut oil, when used as a PRE-WASH treatment, helps to reduce protein loss from the hair. Preventing or minimizing the swelling of the hair shaft IS MORE important than the hair being lubricated. This is likely a huge reason why women who are part of the 7 Day Hair Rehydration Challenge have experienced less breakage. Coconut oil also has the great ability to reduce what is called the Water Retention Index (WRI). What is this exactly? It’s the propensity of the hair to swell. The repeated swelling and contraction of the hair damages the cuticle so….minimizing this is a good thing! How much does the WRI get reduced by? In UNDAMAGED hair, it’s as much as 44%. In DAMAGED hair this value is much higher. Another point for coconut oil! Okay now for the mechanism of HOW coconut oil protects the hair. So how does coconut oil work exactly? As a pre-shampoo treatment or conditioner it coats the hair and blocks the entry of water into the hair. A small amount of coconut oil is absorbed into the hair during washing when the hair fiber is swollen. Oils are hydrophobic or “water-fearing”; they repel water. So coconut oil on the hair reduces the swelling tendency of the cuticle. This reduces the UPWARD CURVING of the surface of the cuticle. This in turn reduces the CHIPPING AWAY of the cuticle. This reduces PROTEIN LOSS. It’s important to understand that the reason coconut oil is able to have this powerful effect on the hair is because of its linear structure and low molecular weight, which allows it to actually penetrate into the cortex. NOT ALL OILS HAVE THE ABILITY TO PENETRATE INTO THE HAIR DUE TO DIFFERENCES IN STRUCTURE! One of the great things about being natural is the ability to use various types of ingredients and oils on your hair. However not all oils are created equally and each oil will have a different effect on the hair. Have you been using coconut oil for healthy hair? Share your experiences below! This article was written by DrWalkerWellness for CurlyNikki.